Families who treat teeth in 32 dent, can take advantage of dentistry for their children for free. Orthopantomogram in 32 dent - good quality and sharp pictures. Knowledgeable and professional staff! I recommend this office to everyone! The dentist Olga and staff are friendly and helpful. 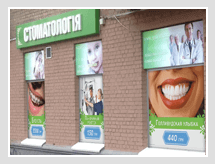 Dental clinic 32dent will make you sure that quality dentistry in Kiev can be affordable for everyone. We will help you to avoid extra expenditures and offer discounts by complex treatment which result in keeping your teeth healthy for many years. 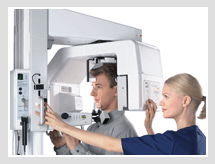 Our doctors are experienced specialists with work experience from 7 to 25 years. 32dent is a professional dental clinic. We bring to Kiev equipment and materials for manipulations (fillings, dentures, implants) from abroad - Germany, Israel, USA, Switzerland thus providing the best treatment. Dental clinic 32dent offers guarantee for all types of work, our service, professionalism of our staff and prices will give you 32 reasons to smile!